World's Strongest Exercise Ball Chair. DuraBall® PRO is the strongest and safest burst resistant exercise ball in the world. It is preferred by advanced level users and is the choice of fitness professionals, physical therapists and pro athletes. 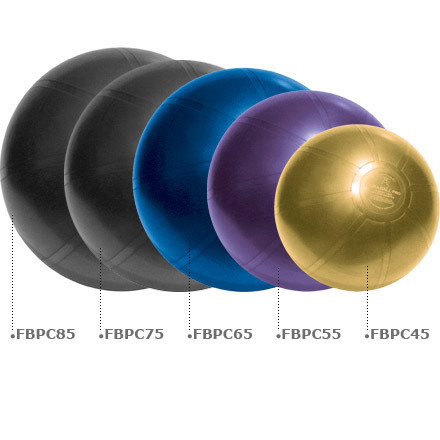 The result of years of development and rigorous testing, the DuraBall® Pro Exercise Ball offers maximum firmness and support. Have confidence when you put this ultra high quality fitness ball to the test for demanding fitness workouts or weight training routines. It’s perfect for larger individuals and is also suitable as a ball chair when underinflated. DuraBall® PRO is made in Australia from an innovative synthetic material called Duralon™. You can trust the DuraBall® PRO Exercise Ball for superior comfort and safety.